Application monitoring is highly business critical. Any issue can impact your business processes seriously. 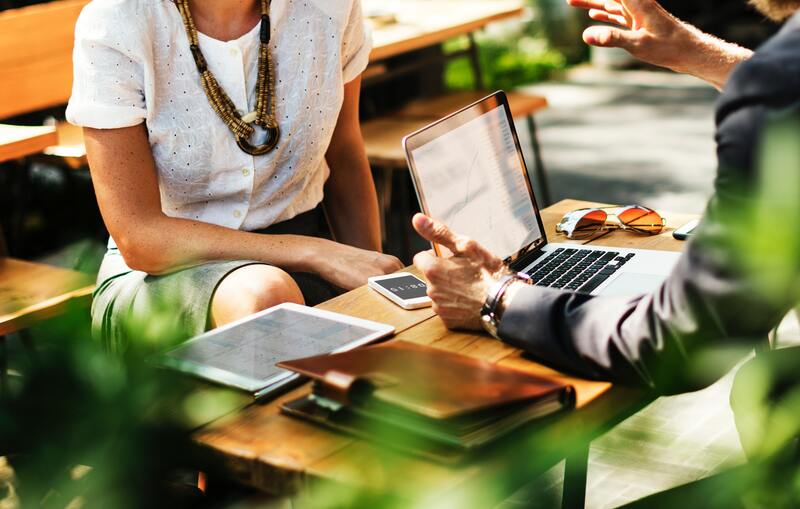 "By 2021, 60% of IT monitoring investments will include a focus on business-relevant metrics, up from less than 20% in 2017". "(...) the goal of such a service is not so much for central IT to monitor digital business processes directly. Instead, it’s meant to give digitalized business units the power to do their own monitoring in a way that is effective and flexible, but, at the same time, cost-efficient". 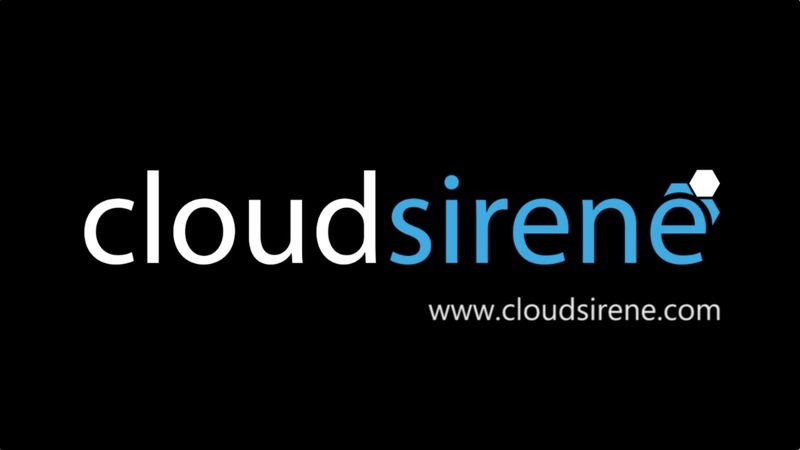 Important Note: No business related data are required by cloudsirene. Monitoring platform for your system landscape without sending critical business data. Get Email Notifications for subscribed system events like error messages, system communication issues or critical system queues. Check the status of all interfaces on your systems. This enables you to detect any issues and monitor your process flows efficiently. One centralized point to check the status of all integrated systems. With the Alerting and Notification functionality you get informed about any issues. In that case, no manual monitoring is required because you get automatically informed by cloudsirene. With a dedicated customizing, the notification messages can be routed to the system, interface or process owner or someone else. Due to that fact, the process involved persons get informed about any detected issues. Reduce and optimize your issue revolving mail ping-pong efficiently. 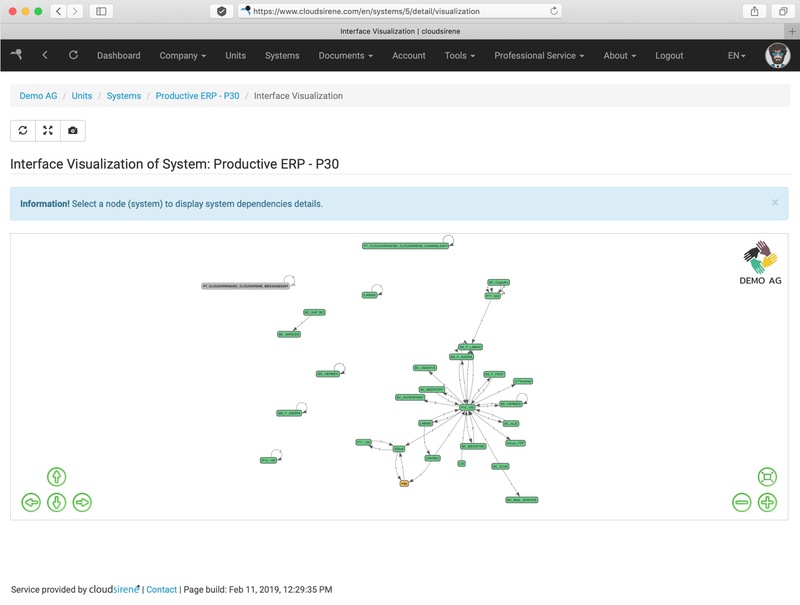 The system interface visualization enables you to get an overview about the interfaces and their system dependencies. See your technical interfaces in different way and enjoy a deep dive. Most of business processes are complex and distributed over many systems. 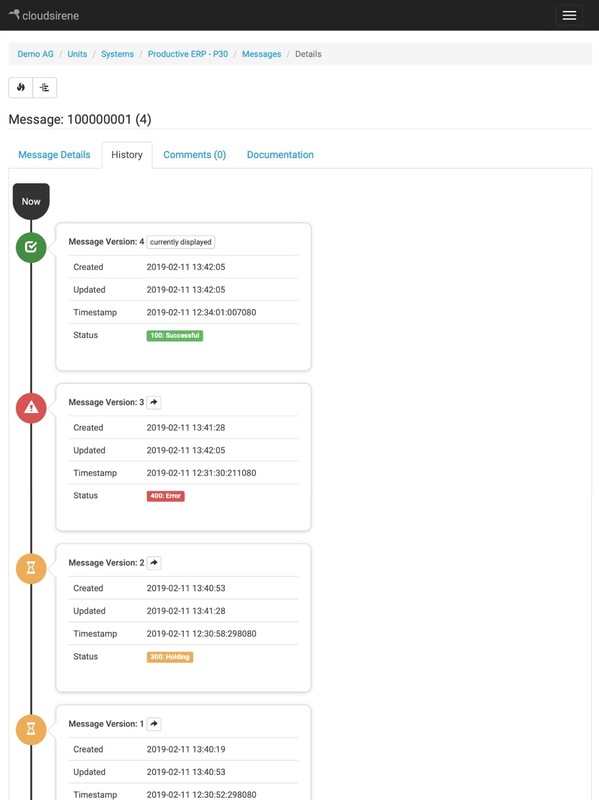 With the monitoring solution provided by cloudsirene, you can efficiently tracking messages and issues over all involved systems. Combine your application monitoring to a process-driven monitoring approach. Let's have a try and illuminate the blackbox. Optimize your monitoring operations with a collaborated communication. You can comment and track any issues. The relevant application, interface or process owner or any other responsible person will be informed automatically about any updates regarding the issue solving. Up-to-date what is going on. You need a monitoring agent for another application? 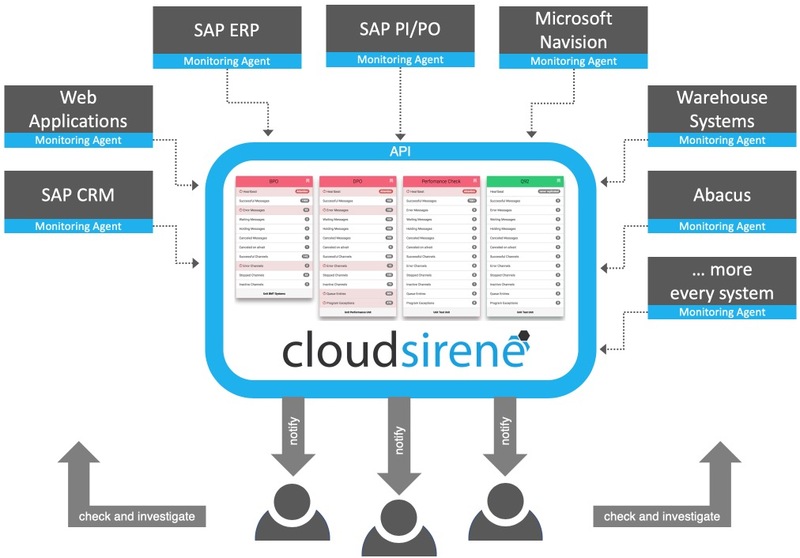 Due to the software independent API by cloudsirene the integration is easy. Contact us for a free call with our development team. 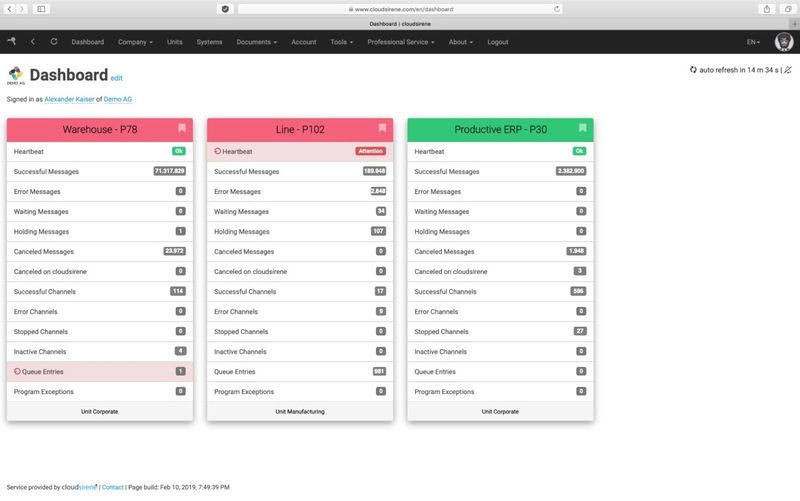 Centralized documentation of systems and their interfaces and message flows. Pay-as-you-go with the license builder of cloudsirene. Style your individual package for your requirements. Trial: 30 day free trial account. Pay-as-you-go, style your own individual license and pay only what you really need. 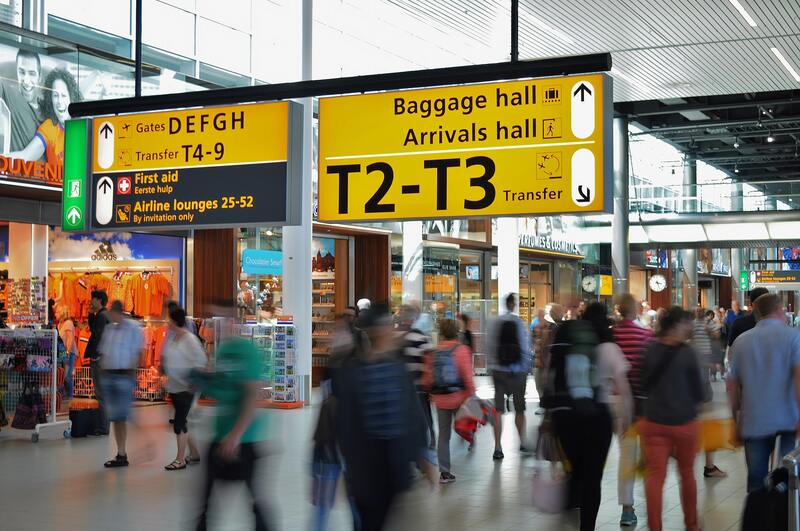 You need a monitoring agent for your individual application? Supports you to illuminate the blackbox. Upgrade during the trial period to a regular cloudsirene account. Workshop to connect your application to cloudsirene. How to efficiently monitor SAP ABAP-Stack systems and SAP PI/PO (Java) systems.